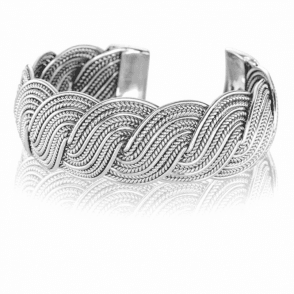 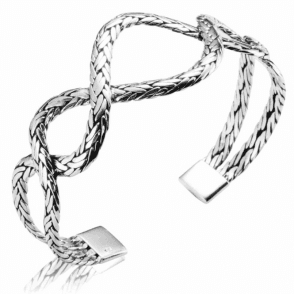 Silver Woven Cuff BangleSkilfully woven in sterling silver, this weighty cuff bangle is a work of astonishing intricacy. 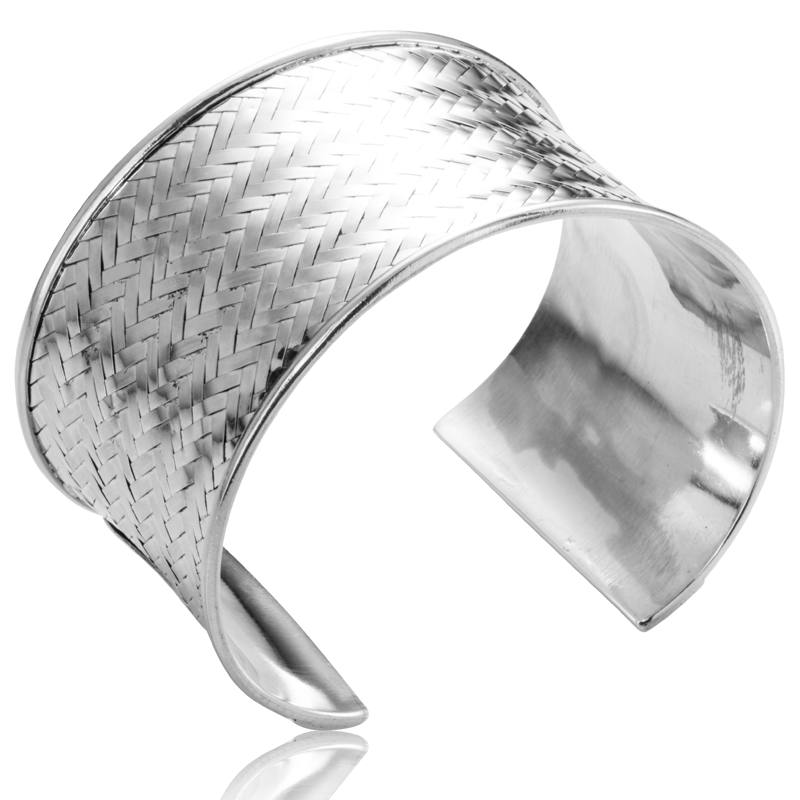 A dream to wear, its sculpturing softly melds over time to your wrist for a perfect fit and a preciousness that is yours personally. 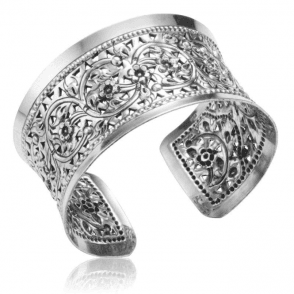 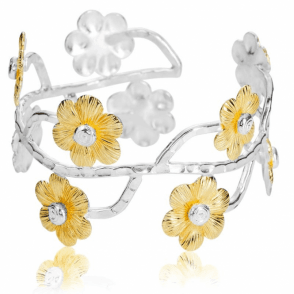 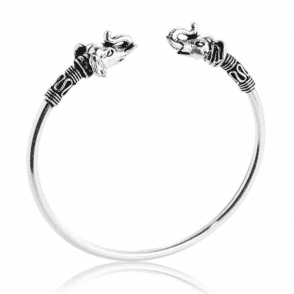 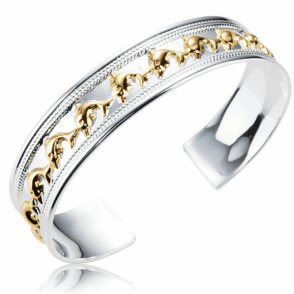 Bangle width 1½" fits wrist up to 7½".